Sweater dresses are timeless, they bring an ultimate feeling of comfort in fall and winter ad will never go out of style. 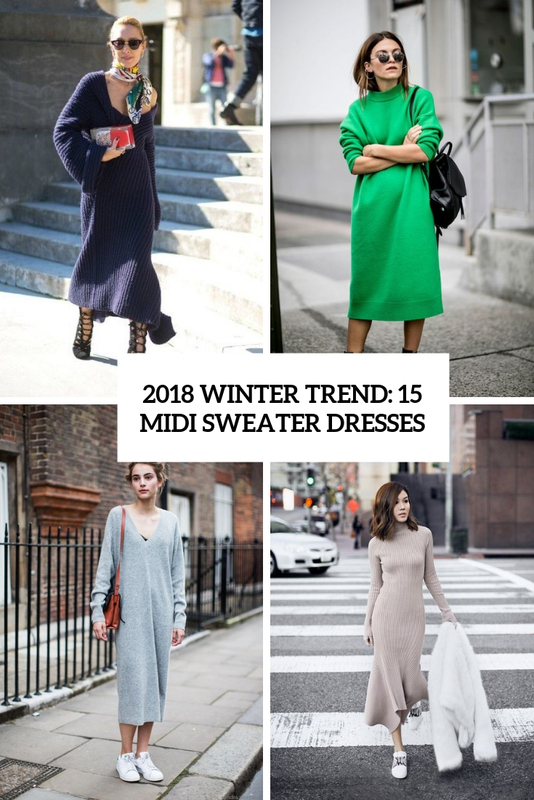 This year’s trend is a midi knit or sweater dress, especially with a straight and not fitting silhouette, many celebrities are already rocking it. Let’s take a look how to style one! 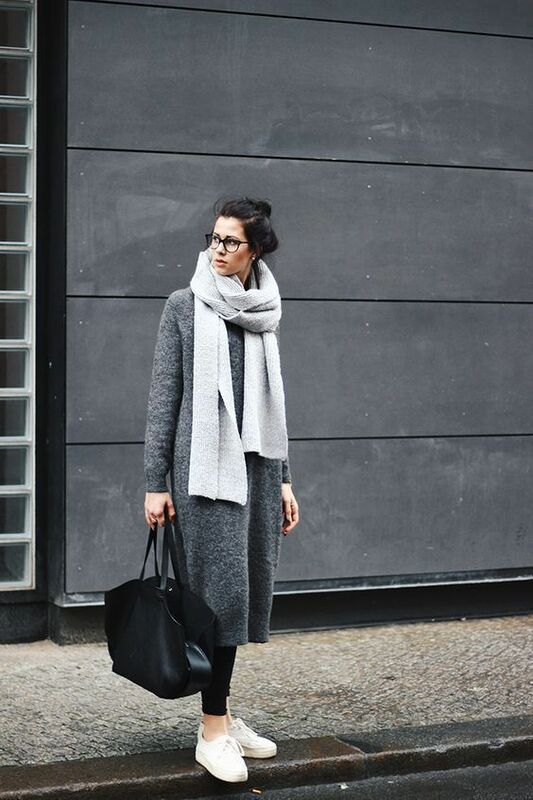 Styling a sweater or knit dress is very easy: put on a sweater dress, add sneakers or trainers and a bag, voila! you may also add a scarf, a faux fur waistcoat, a beautiful lace bralette that will be seen under the dress, or a color block clutch. The feeling of comfort will be with you every second! Fitting knit dresses with a highlighted waist are more elegant and can be great for various occasions or dates. Style them with heels, chic clutches or bags, faux fur coats and lace up boots. Add statement accessories to stand out.